Great articles by Dr. Robert Fontana. Robert has his Doctorate in Ministry and has served the Catholic Church in many different positions for over 30 years . 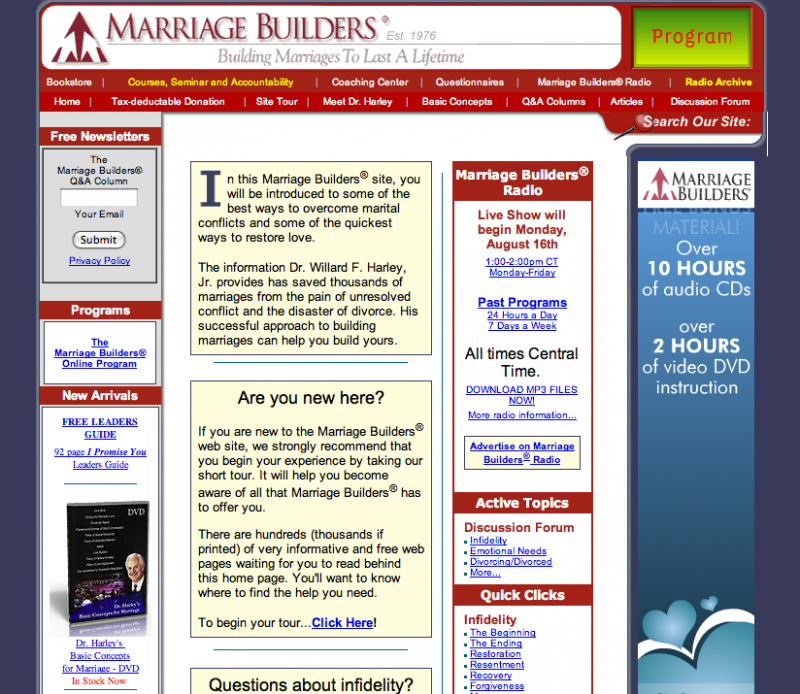 It's got great articles - some quite humorous - that are all terrific ideas which support he and his wife's idea "that your marriage works when you work on your marriage". 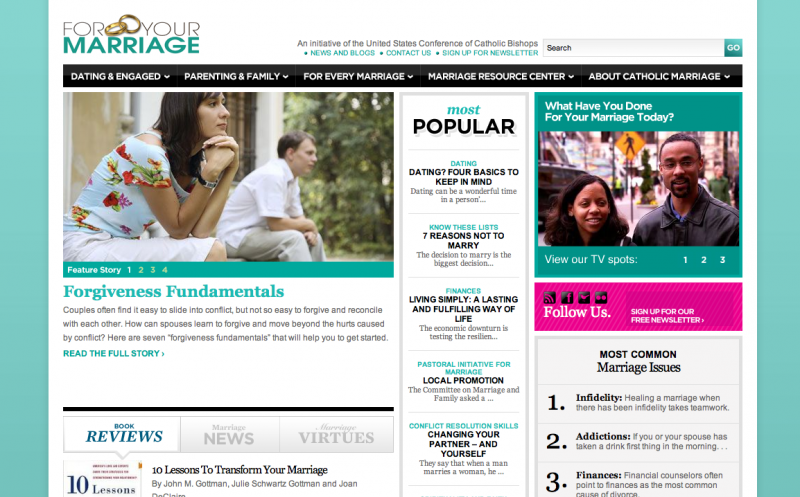 This is a great website that the marriage and family life office of the United States Conference of Catholic Bishops put together. Wonderful articles and ideas from various authors. Awesome ideas and content. 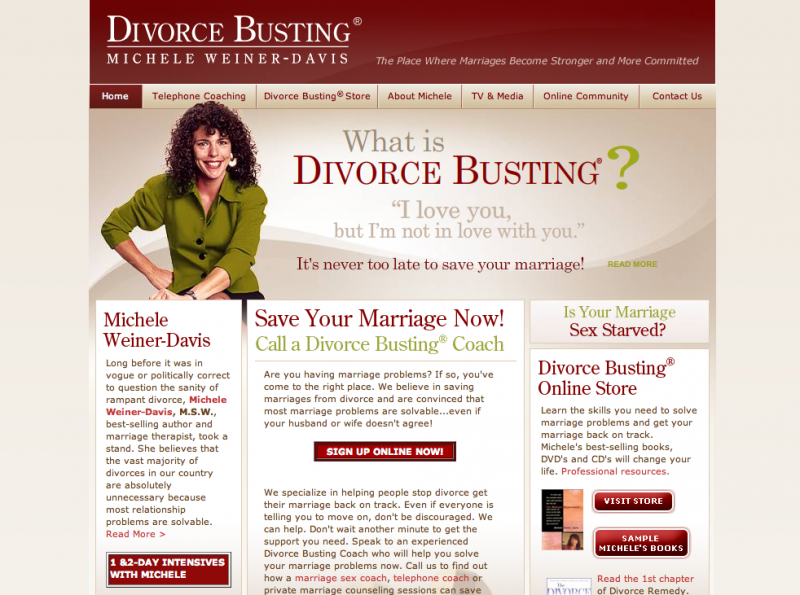 Developed by marriage counselor Michele Weiner-Davis. You can see her in interviews and presentations on YouTube. 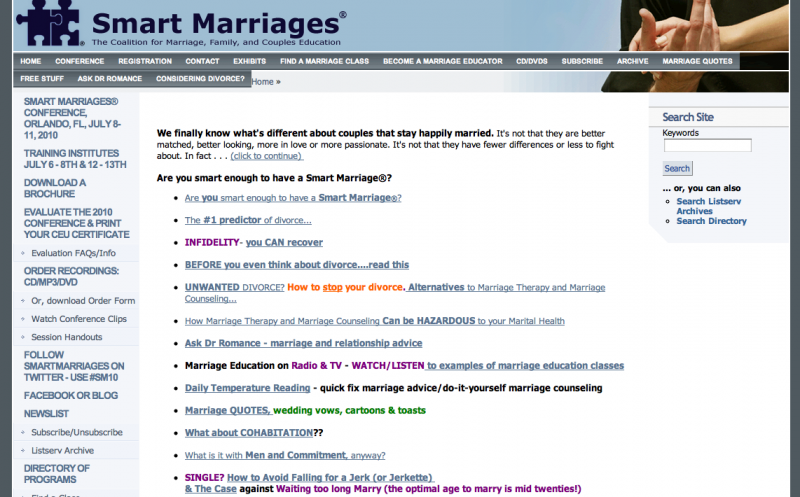 This website is put together by a group which offers Smart Marriage conferences. Multiple authors with great ideas. This is a colleague that Sara worked with through the years. Again some good ideas brought forth from Susan's many years of marriage. 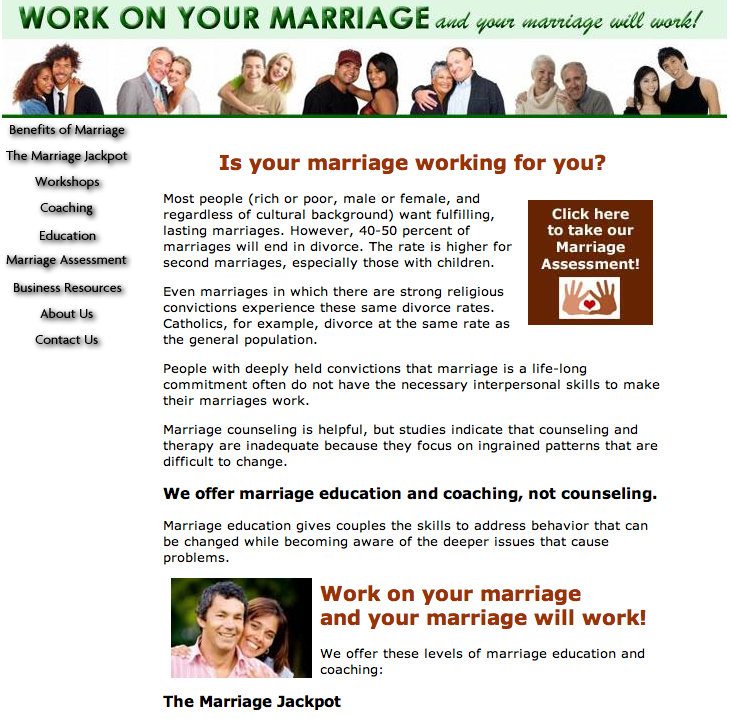 The website is put together by Willard F. Harley Jr. author of His Needs, Her Needs: Building an Affair Proof Marriage. He's got some excellent questionnaires that you can download and discuss and some great "Policies for a great marriage". Use this for a great date night. Both of you take the test and then print out your results. Go out to eat and discuss if what you are reading about yourself and the other is true or not and why. Give examples. Find the positives in being that personality type in the world. www.5lovelanguages.com Official website of Dr. Gary Chapman, author of The Five Love Languages. You can access this website and go through their assessment to determine what is your "love language". This is a link to a wonderful article about a series of presentations on marriage and the family Pope Francis offered during his general audiences in 2015.
http://bullseyereflections.blogspot.com/﻿ Sara's place to post her reflections about living life intentionally. 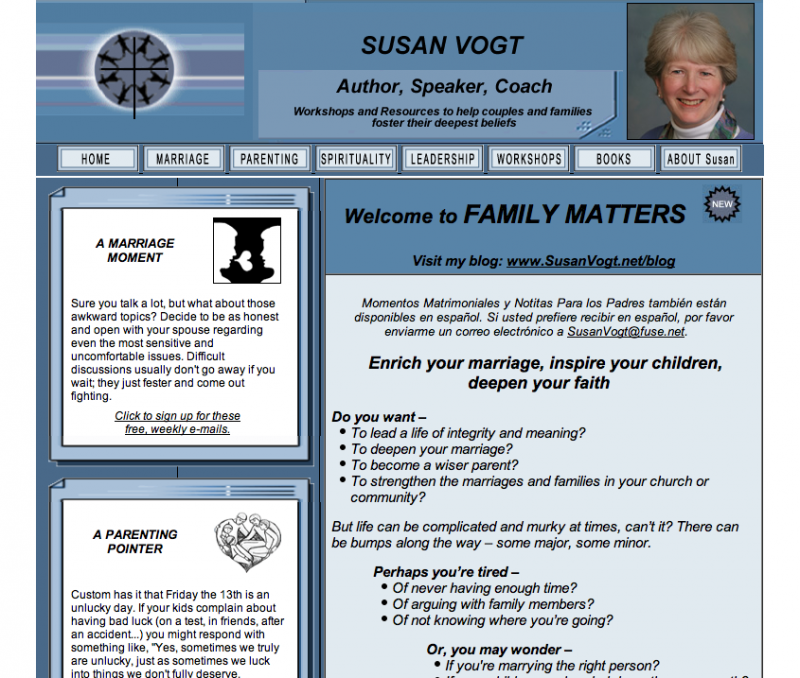 http://www.teamsofourlady.org/﻿ Go to this website find a team to join that will assist you in your targets of having a sacramental relationship.